Promotion valid from April 18th to April 21st, 2019 only at Victoria’s Secret Central World & ICONSIAM. 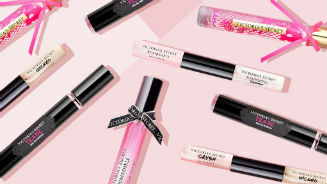 Promotion valid from April 15th to April 21st, 2019 at Victoria’s Secret stores. Promotion valid on April 2nd to April 21st, 2019 only at Victoria’s Secret Central World and ICONSIAM. Promotion valid on March 25th to April 30th, 2019 only at Victoria’s Secret Central World and ICONSIAM.